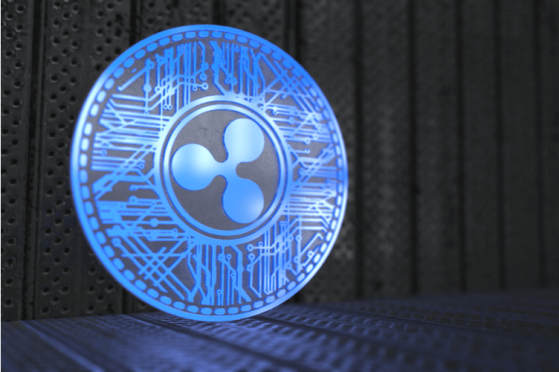 Ripple (XRP): Poised for Return on Banco Santander Partnership News? The (XRP) price remains at a crossroads. On the one hand, it is lifted by the temporary boom across all markets. But the gains are still relatively small, and at $0.68, the XRP digital asset is just starting to recover. At the same time, the announcement for the Banco Santander (MC:) cross-border payment system, open to users and utilizing the Ripple distributed ledger, is a key announcement of a real-life product targeted to customers. So far, the Ripple distributed ledger will only be used for limited cross-border transactions in four countries, Spain, Brazil, the UK, and Poland. The app, called One Pay FX, will allow for cross-border forex exchanges. In terms of market price, the news and hype around the launch may serve as further support for the popularity of XRP, and boost the market price. Already XRP is up more than 22% in a day, to $0.63, though still far from recent price levels where the asset easily commanded $1. However, it must be noted that the Santander app uses the xCurrent platform, which does not utilize the XRP asset. So far, there is little chance that XRP itself would be bought by banks at market prices in order to use the distributed ledger. Additionally, there is the potential that banks build and use their own distributed ledger networks, without adopting any public blockchains or other distributed systems. At the moment, the majority of XRP trading happens on Korean and Japanese exchanges. However, despite the low probability of an addition to Coinbase after an attempt to buy a spot on GDAX, XRP is also easily available for Western investors through Binance. More recently, Bittrex promises to add new accounts, just in time for another spike in altcoin prices. However, XRP remains highly risky and is sometimes criticized by the crypto community for allowing centralization and control. The Ripple project has also not released an official wallet, so most investors rely on exchanges to store and trade the coins. So far, the safest way to store XRP is by using the Ledger Nano S hardware wallet device. The Trezor wallet cannot store XRP yet.